Avendus Capital advises Diligent Power on its equity raise from Warburg Pincus. Diligent Power Private Limited today announced that Warburg Pincus, a leading global private equity firm, has acquired Private Equity investment in the company. Warburg Pincus‟ investment will enable Diligent Power to accelerate its growth plans. Diligent Power, through its subsidiaries, is in the process of setting up power projects aggregating to 6,400 megawatt (MW). These power projects include a 1,200 MW coal-based thermal power plant in the state of Chhattisgarh and a 1,320 MW super critical thermal power plant in the state of Madhya Pradesh. Avendus Capital acted as the sole financial advisor to Diligent Power for this transaction. 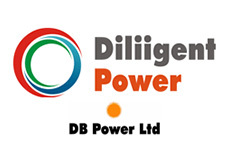 Diligent Power Private Limited is an emerging company in the power sector in India and is in various stages of developing coal based thermal power projects aggregating to 6400 MW. Avendus Capital is a leading financial services firm which provides customized solutions in the areas of financial advisory, equity capital markets, institutional broking, wealth management and alternative asset management. The firm relies on its extensive track record, in-depth domain understanding and knowledge of the economic and regulatory environment, to offer research based solutions to its clients that include institutional investors, corporates and high net worth families. Avendus Capital has consistently been ranked among the top-five corporate finance advisors in India and has emerged as the advisor of choice for cross-border M&A deals and has closed 35 cross-border transactions in the past 4 years. Headquartered in Mumbai, the firm has offices in New Delhi, Bangalore, New York and London. Avendus Capital, Inc (US) and Avendus Capital (UK) Pvt. Ltd. are wholly owned subsidiaries offering M&A and Private Equity syndication services to clients in the respective regions.